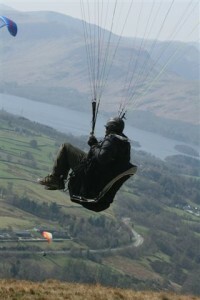 Paragliding in the Lake District is a recreational and competitive sport. A paraglider is a free flying, foot launched aircraft, with the pilot sitting suspended by a harness below a fabric wing, developed from parachuting canopies, whose shape is formed by its suspension lines and the pressure of air entering the front of the canopy. Modern paragliding canopies can be flown effortlessly on windward slopes of Lakeland fells, and flown across country in good conditions. It is very similar to the freedom experienced by a hang glider, although a paraglider is more portable and easier to learn to fly. They can be seriously hampered by strong winds yet easily landed in a field. 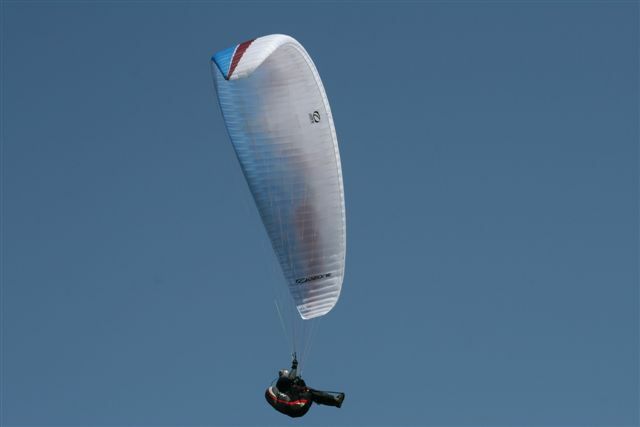 With modern technologies and manufacture costs reducing, paragliding has become a thriving sport with average cost of equipment at about £2,000. 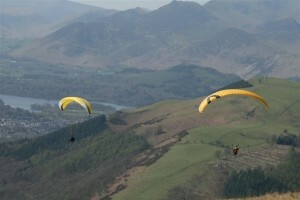 The countrywide BHPA offers lots of flying sites and a great supportive flying and social network. On a spring or summers day with blue skies and fluffy white clouds usually signifies abundant yet invisible lifting air currents, which paragliding pilots use to gain altitude. 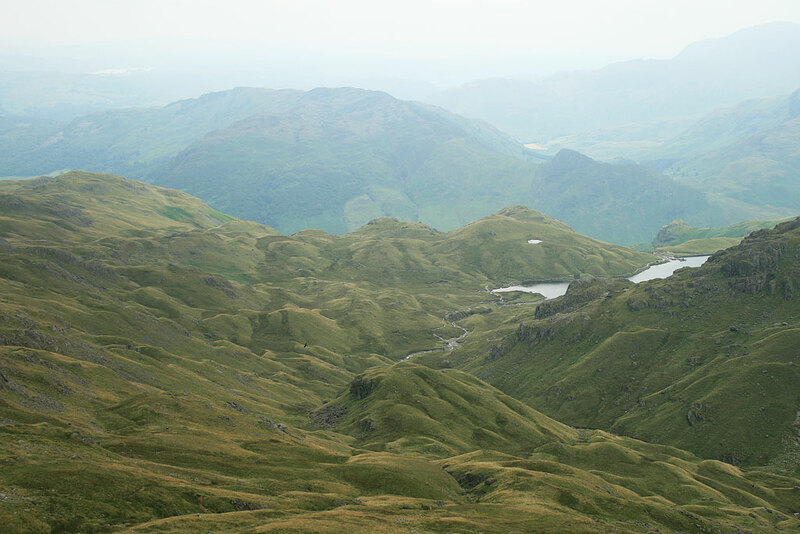 On such days you will see easy take off’s from the hills and fells of the Lake District as a pilot prepares himself for take off and a sometimes simple run and the wind does the rest. Once in the air it is possible to travel to a pre selected goal or simply drift on the air currents where they take you and this can be a very exhilarating experience as you take in the beautiful scenery as it unfolds beneath you. Flights of over 150 km have been recorded in this country. On my most recent walk up Blencathra on the 9th April, which was a beautiful sunny day the paragliders where out in force and here are a few pictures, which I took. If your are interested in Paragliding in the Lake District there are several club and establishments where you can learn and on average this takes about 2 weeks. If you do decide Paragliding in the Lake District is for you enjoy and always remember the common sense approach to safety for all outdoor activities.